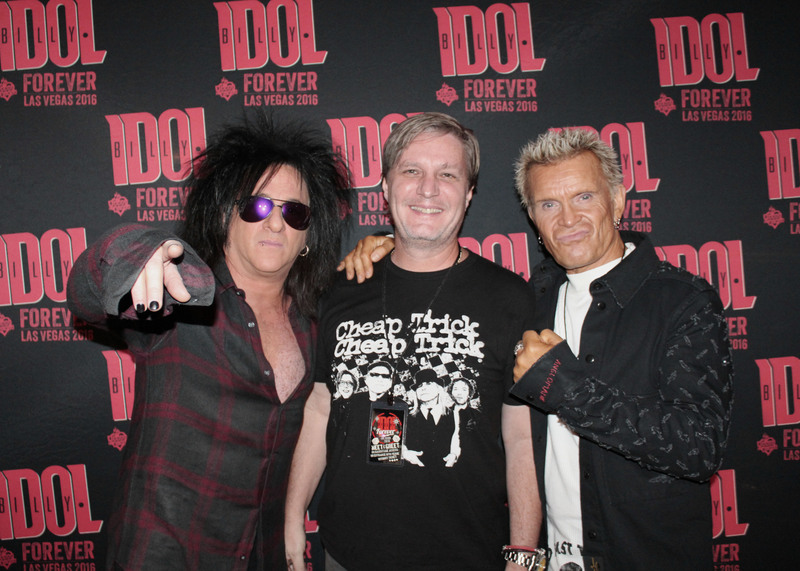 Another great show with Billy Idol in Las Vegas the other night. 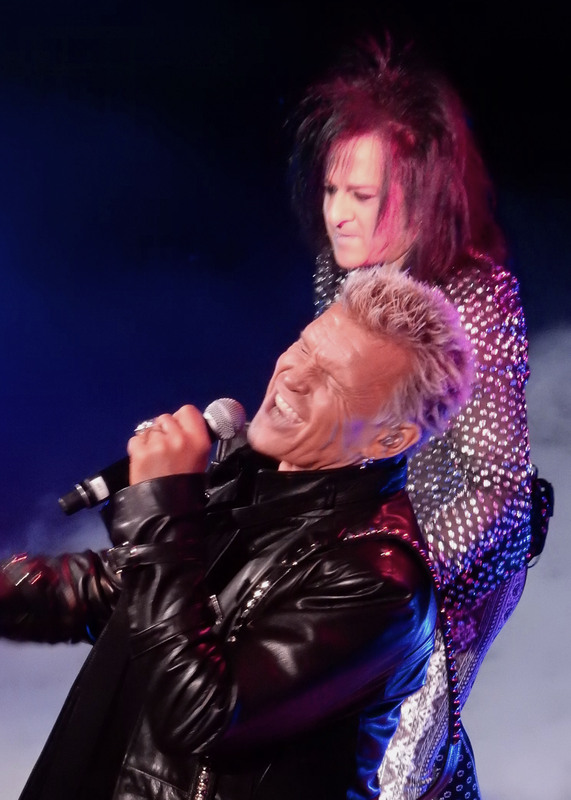 He and Steve Stevens always put on such a great show. I was fortunate enough tonight to be able to attend a meet and greet before the show started. They were both very personable and friendly and provided a great photo op. I had a seat in the balcony off to the far stage left, and although it was in the front row I really thought it was a horrible seat when I first sat down. The stage was down, right in front of me with the video screen almost horizontally aligned with my position and the column of arena speakers were about 3 feet from my right ear. But when the show started I actually had a great bird’s eye view of the full stage and a perspective of the performance I didn’t have a few weeks ago when Toni and I were there.. We had seats at a table right up front of the stage which were awesome, but this seat was actually just as good but different. The set of songs were the same as the previous night we saw them and I enjoyed every minute of it.